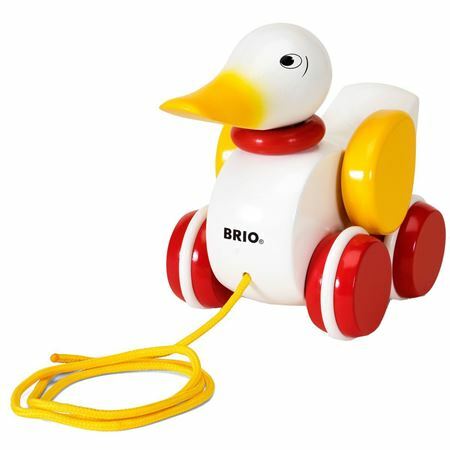 A bright yellow soft toy, with a happy looking duck head and features. 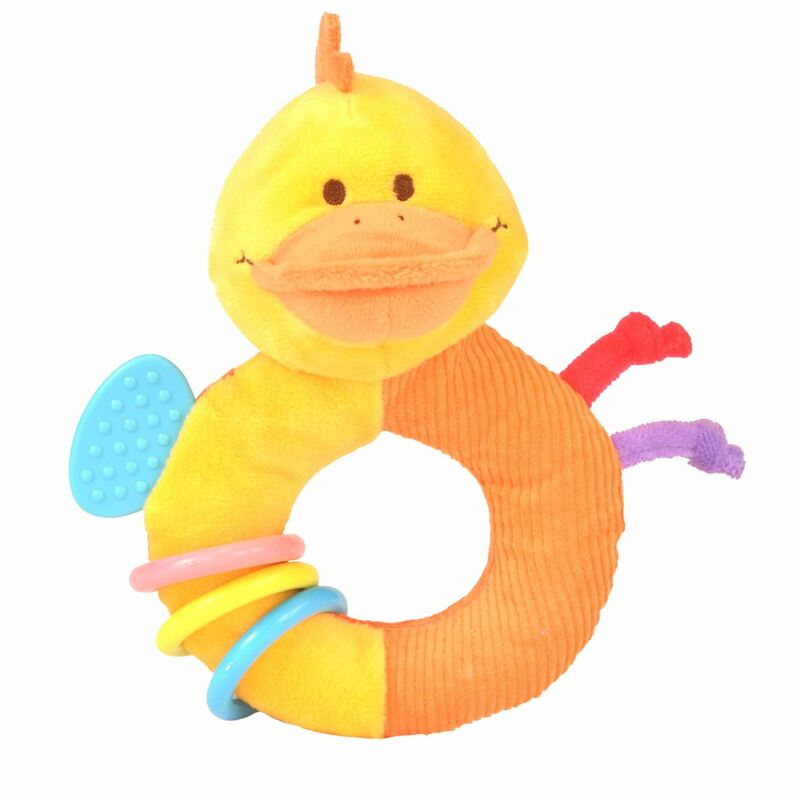 Soft, tactile activity teething rings, with textures to explore and sturdy plastic rings to jingle and clink and ideal to satisfy the need to chew in teething children. 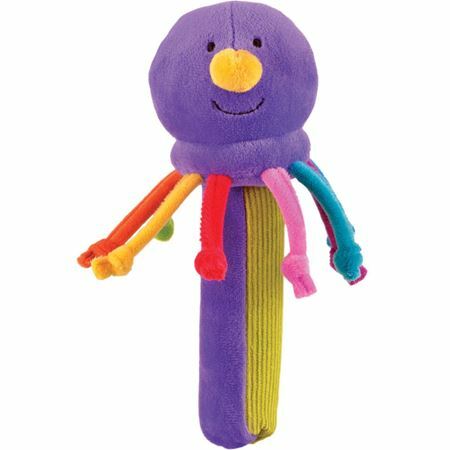 Just the right size for little hands to hold. 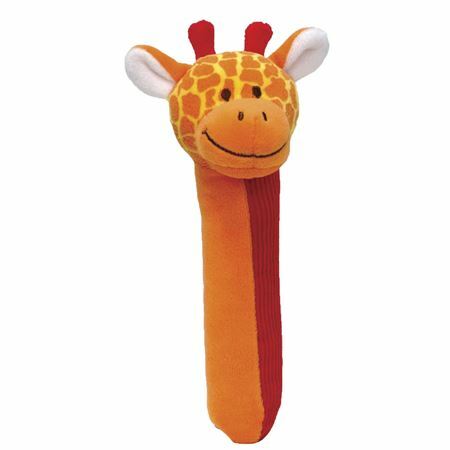 Squeakaboo Giraffe is a soft squeaking, jingling tactile toy.